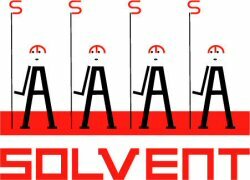 Solvent is Canada-based Jason Amm, an analogue-synth electro act who specializes in a hybrid of minimal retro synthpop and IDM (Intelligent Dance Music). 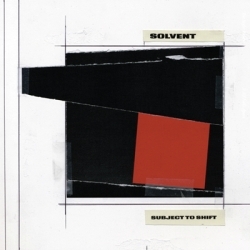 With many fine albums already under his belt, Solvent recently released new album Subject To Shift — his finest work yet and ideal listening for fans of Human League Mk I, Alexander Robotnick, Kleerup, and Yazoo. Finely textured and superbly atmospheric, Subject To Shift displays a depth and range rare in most current electro releases. 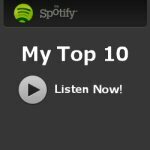 I asked Jason if he could provide us with a list of his 10 favourite tracks. He decided to do a mixture of favourites new and old: check it out below! I bought this 12″ strictly for the Skanfrom remix, and it has turned out to be my favorite new song of the past year. This is a perfect song, Skanfrom’s purist synth sounds and great sense of melody brings out the best in these vocals. I haven’t even bothered to listen to the original because I’m sure it won’t even come close to this. Soft Cell is definitely one of my all-time favorite bands, and while Say Hello Wave Goodbye may be a too-obvious choice, I’d like you to make a special point to check out this extended mix for the amazing clarinet part. I have every note of this clarinet burned into my brain, and it alone has been one of my biggest musical inspirations. I’ve been listening to electronic music for nearly 25 years, and making it for nearly as long; Ghosts remains the most impressive feat of synthesizer programming that I’ve yet encountered. David Sylvian on vocals doesn’t hurt either. This primitive pre-Phillip Human League song manages to be dark-and-surreal and childlike at the same time. When I hear this, I wonder if I should throw my computer out the window and buy a reel-to-reel tape recorder. I love Miss Kitten and the Hacker, but even better is this one-off collaboration with Perspects, a great artist from Detroit, on vox. Starts off as a sort-of Lady Shave (Fad Gadget) homage, but lyrically it’s more abstract and ultimately creepier. This is Electronic Body Music. It all pretty much went downhill from here. This is a super-obscure band from Texas that I just discovered, and this amazing piece of lo-fi industrial funk (or something) was my incentive to pick up a new tape deck. The song is only available on cassette, limited to 76 copies. Also from Texas, and seemingly from the same “scene” as Corporate Park, comes this band: Medio Mutante. This is one of the few songs I’ve ever come across that totally reminds me of Solvent. Aside from the Spanish female vocals, that is. This song comes from a 12″ EP which is definitely my favorite new record of the past 5 years. 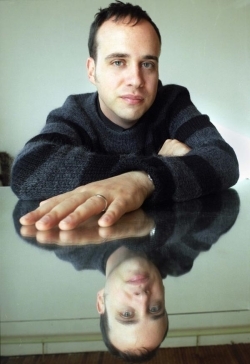 Martial Canterel is one of the great modern synthesists, but here is one of the few examples where I think his songcraft and vocals live up to the synth work. I love the way these fairly standard lovesong lyrics carry such urgency. Waiting is a great new synth-pop song, featuring the mighty Alison Moyet in top form. As Yazoo’s Upstairs at Eric’s is my all-time favorite album, I relished the opportunity to pay tribute to Vince and Alison by making the song as Yazoo-like as I possibly could on this remix. I’m obsessed with Vince’s synth work, but I’d like to make it clear that I am not normally in the habit of ripping off his style so explicitly: this was a special occasion!